It's Wordless Wednesday and today I want to share with all of you a fabulous little girl, her special story and her quest to give back. Her name is Alivia Antinetti and she is the daughter of fellow California Women for Agriculture member Rachelle and David Antinetti. Is this not the cutest picture you have ever seen!! I want you to check out the Lemonade Stand website and listen to Liv's story. That's Liv on the left with her bros. You wouldn't know it from the picture above but Liv is a cancer survivor. She fought and won!! This weekend, Liv, Bros and Co. is hosting a Lemonade Stand to raise money for the Make A Wish Foundation to return the favor for the wish she and her family received. Her goal is to raise $5,000 and I would bet she more than makes that goal. Everything over her goal will go to the Children's Oncology Group for further study of the Wilms Tumor. You can visit the Liv, Bros and Co. 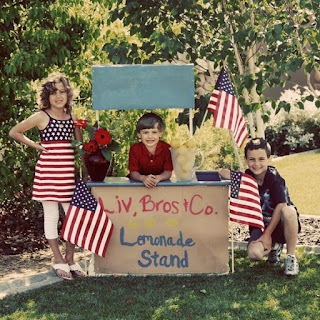 Lemonade Stand this Sunday, May 29th, 2011 in Oakdale, California from 10 am to 2 pm at River Avenue Park. Please do if you are in the area. Jake, Clayton and I will not be able to visit but we will be mailing in our donation. Nothing is more important in this world than our children. Liv is a living example of what strength, resilience and spirit should look like in all of us. 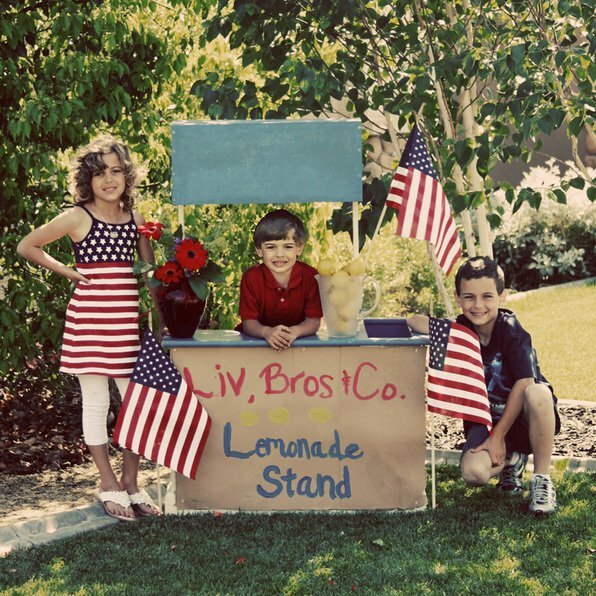 Best wishes to Liv and her Bros on a super successful lemonade stand. What a cutie and what an creative idea! This is great! I will have to take the boys by and get some photos for you! By the way, friend - I have passed the Versatile Blogger Award on to you! Congratulations! Wordless Wednesday - This one is for Daddy! Wordless Wednesday - Weddings & Cake!